I have always been clear that I wanted to run a multi-faceted blog. I wrote a post on macro writing last year. I have set my goals for 2019 too. In the meantime, I have decided to write on financial markets outlook as well as domestic cricket. The last thing I want to do is for this blog to get cluttered because I want to expand. For this reason, I have decided to start two more blogs. Domestic Cricket Index will be focussing on the County Championship and other domestic tournaments depending on demand. My post on Adil Rashid made me realise how little I knew about the domestic game. I had no way to back up the comments that were made. I also found that I could not give a logical reason why Dominic Bess should not have been picked. I will be applying my Cricket Portfolio Index on the County Championship as well as the IPL. I do not envisage writing on which team is the best. I will be focussing on the top players. I will be using the same standards for these games that I do in Test cricket. I will be using a T20 version of my index for the IPL. It seems only fair to include the T20 Blast in my analysis too. I guess it comes down to curiosity. How to domestic players in the IPL compare to their counterparts in England? I will also be dealing with issues affecting cricket in general with a focus on English cricket. This blog will be highly opinionated. I just hope it does not polarise people too much. My market outlook can be found on Soans Investments. This would be more of commentary so that anyone can understand rather than a detailed analysis using tons of numbers. This will be focussed more on macro analysis. It will have more to do with equity and shares than bonds. That finally leaves this blog. I will use this blog to mainly cover Mental Health and International Cricket with a little bit of writing thrown in the mix. The risk in diversification is over-diversification. I hope this works. I have had great support from the blogging community. I hope this will extend to my new blogs. 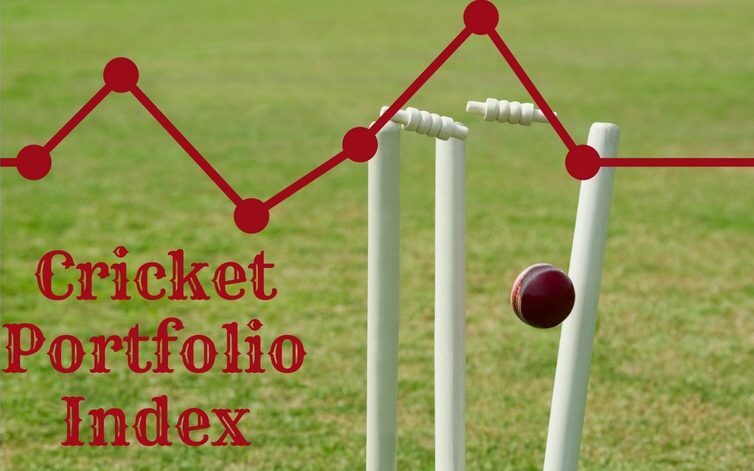 Previous Previous post: Cricket Portfolio Index: Battle of the Newcomers. Next Next post: Purple Day: The Responsibility Of Making a Difference.